Lettuce (Lactuca sativa) is one of the most popular hydroponic crops - if not the most popular one. Its growing requirements, high yields make it ideal to grow in greenhouses and controlled environments and with great success, even if you are a beginner. It can be grown as a year-round crop in controlled environments. It grows rapidly; it takes only about 3 weeks to get to that first edible leaf harvest and 45-85 days to harvest a full head. It doesn’t require full sun and grows well even in low light and temperatures. Since it’s a leafy vegetable that is not supposed to get to a flowering phase, nutrient solutions are simple and do not have to be changed over the growing season. It can be harvested one leaf at the time (which extends the harvesting season) or as a whole head, depending on your needs and ambitions. Recently, lettuce has been given a bad name - some foodies and environmentalists claim that way too much water and fertilizer go into the growing of a crop with very low nutrient density. Still, it can’t be denied that lettuce is a source of Calcium, Magnesium, Phosphorus, Vitamin A, Vitamin C, Vitamin K, Vitamins B1, B2 and B6, Folate, Iron, Potassium, and Manganese. Also, lettuce is a good source of dietary fiber and helps you stay hydrated because of its high water content. 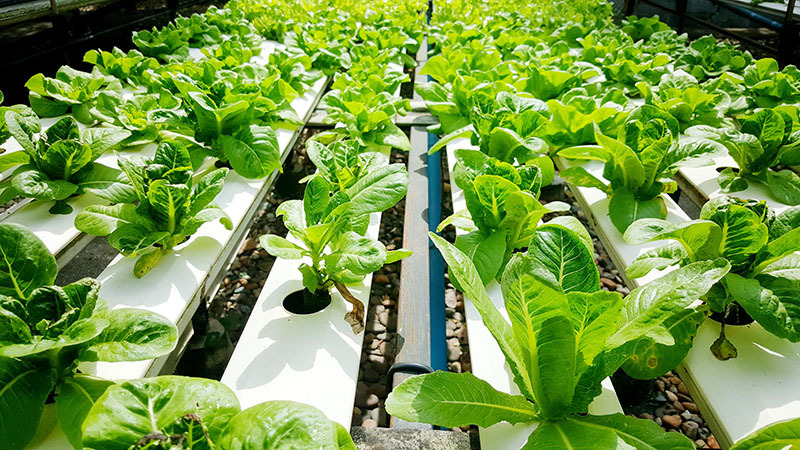 Since hydroponics saves water drastically and reduces evaporation, it means that it is a perfect way to grow sustainable, crunchy, healthy lettuce. 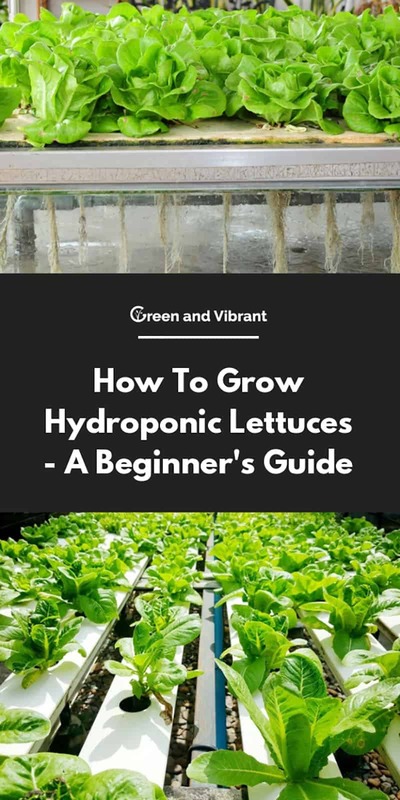 The good news for all the lettuce lovers out there is that you can grow any of the popular varieties of lettuce within hydroponic systems. Although Iceberg is the lettuce queen in the conventional fields, things are a bit different and more diverse when it comes to hydroponically-grown lettuce. In hydroponic systems, there is a strong preference for loose head varieties, although tight ones like Iceberg can still be grown with some adjustments. 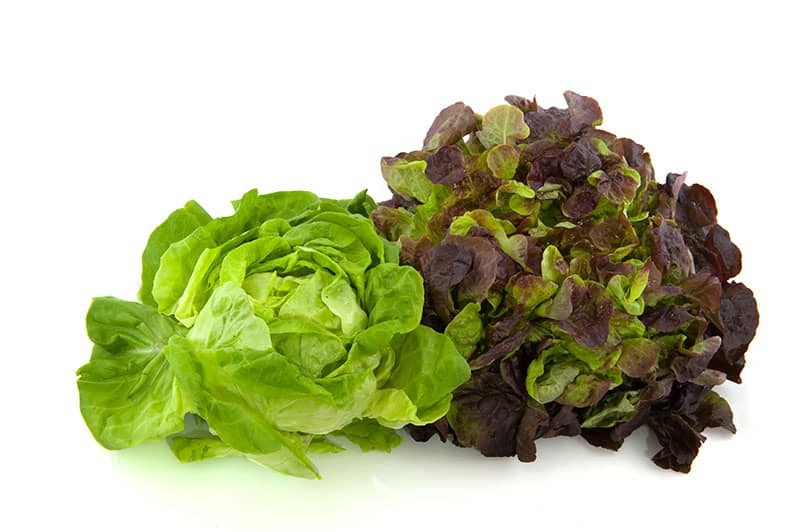 Loose lettuce varieties have one great advantage for the home gardener - unlike the types with cabbage-like heads, the leaves of the loose leaf lettuces can be picked individually, so they will re-grow and replace themselves through the season. This significantly prolongs the harvest and suits the needs of people growing lettuce for their own needs. Here is an overview of the most commonly grown lettuce varieties. Butterhead lettuce is probably the most commonly grown hydroponic lettuce, and also a popular conventionally grown variety outside of the U.S. Both have a specific “buttery” texture that leaves a particular sweetness in the mouth; otherwise, the flavor is mild. Also, both varieties produce compact plants that can be harvested leaf by leaf or as an entire head. Romaine, or cos, is one of the most popular types of lettuce in general and the main ingredient of the Caesar salads. It has a distinctly crispy texture and a stronger taste. There are different cultivars of romaine lettuce available; some form tighter heads, while others form more open heads. The loose leaf lettuce group consists of numerous varieties with one feature in common - they don’t form heads. Instead, their loose leaves are joined at the stem. Their taste is mild and delicate, and crispness is somewhere halfway between butterhead and romaine. Different cultivars offer both green and red leaves and may be smooth or ruffled. Of the latter group, the “Oak leaf” cultivars are one of the most popular. They form small heads with leaves shaped like overgrown floppy oak leaves. Don’t forget that there are many different cultivars for each main lettuce type, with colors ranging from vibrant green to deep dark red and varying in flavor intensity. Hydroponics enables you to grow other types of leafy vegetables that are increasingly popular as additions to fresh salads. These include spinach, kale, bok choy, arugula, and swiss chard. Basil is a very popular herb that is easy to grow hydroponically and is a staple to spice up Mediterranean-type salads and other dishes. Keep in mind that growing requirements will vary at least slightly among the different leafy green species. Although lettuces are considered undemanding crops to grow hydroponically, they require some special care. All lettuces prefer the cooler temperature range. High temperatures promote flowering/bolting, which is a highly undesirable event that will make the lettuce leaves turn unpleasantly bitter. Day temperatures should range from 68 to 75° F (20-23°C), never exceeding 77° F (25°C) because of the quick bolting in temperatures above that point. Lettuces will benefit from slightly lower night temperatures, so bear this in mind if you’re growing in a completely controlled environment. Nighttime temperatures should ideally range from 60 to 65° F (15-18°C), though even lower temperatures will usually be tolerated well in the short term. The best EC value for growing lettuce is about 1.4 mS/cm. Hydroponic lettuce grows best in a medium that has a pH value of 5.5-6.0. Lettuces are considered short-term, fast-growing leafy greens. The time it takes for a lettuce head to become ready for harvest will depend on the variety. For butterhead lettuce that can be about 45-55 days, while romaine and other ones with tighter heads can take about 80-85 days. In an outdoor environment, lettuce production peaks in the spring, after the frosts and before the summer heats. In a controlled indoor environment, lettuces can be grown year-round. Lettuce is not demanding when it comes to lighting. Ten to fourteen hours of moderate, or even low light is enough. On the contrary, growing in full sun can cause lettuce leaves to go bitter and the plant will bolt much faster. If you want to be really precise, butterhead lettuce has an optimal daily light integral (DLI) requirement of 17.1 mol·m–2·d–1, though most leafy greens and lettuces will tolerate seasonal lowering to up to 12 mol·m–2·d–1. During the late fall, winter and the early spring, at northern latitudes you may require some additional lighting to achieve this goal. Interestingly, light quality will affect the color of red-leaf varieties, since the red pigment called anthocyanin stops being produced if the lights are too low. If you are planning to grow red cultivars, consider equipping yourself with supplemental lighting or blue light from diodes. 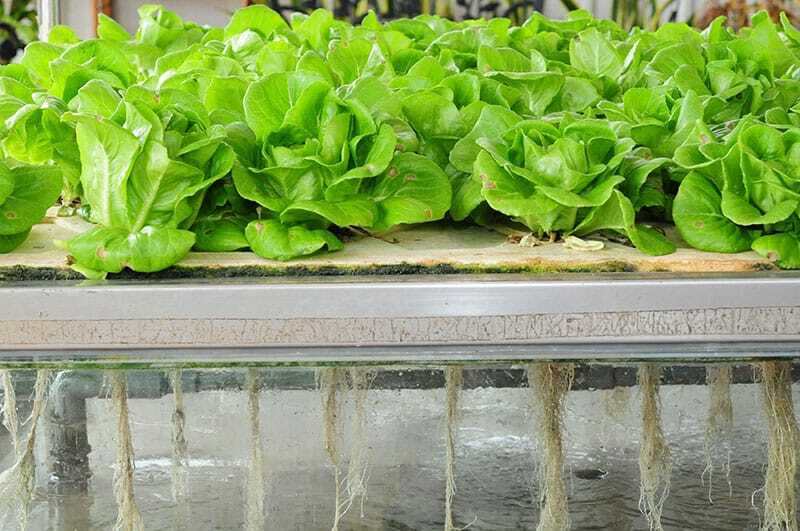 In hydroponic lettuce growing in systems such as NFT or DWC (see below), the solid growing medium (in the form of a substrate) is there only to enable seedlings to sprout, and for basic root support as the plants continue to grow. Lettuce seedlings can be started and grown in a wide range of substrates. Stone wool and phenolic foam are probably the most commonly used substrates for starting seedlings. Other popular choices are coconut coir and peat moss that have been stabilized with a chemical binder or with a mesh wrap. The real growing medium is the water nutrient solution in which the plants grow. Lettuce requires a nutrient solution which will yield maximum production in the plant’s vegetative phase, all while not pushing it towards the flowering phase. This requires a solution with N-P-K ratio high in nitrogen, and some phosphorus - but not so rich in potassium. Micronutrients are also important. For lettuce varieties that can suffer from tip burn, make sure there is always enough calcium in the solution. While you may have heard that some lettuce varieties are tolerant of low oxygen levels, keeping the solution well aerated will certainly promote healthy growth. The concentration of dissolved oxygen (DO) should ideally be maintained around 8 ppm. The method you will use for growing lettuce will largely depend on your needs as a grower. 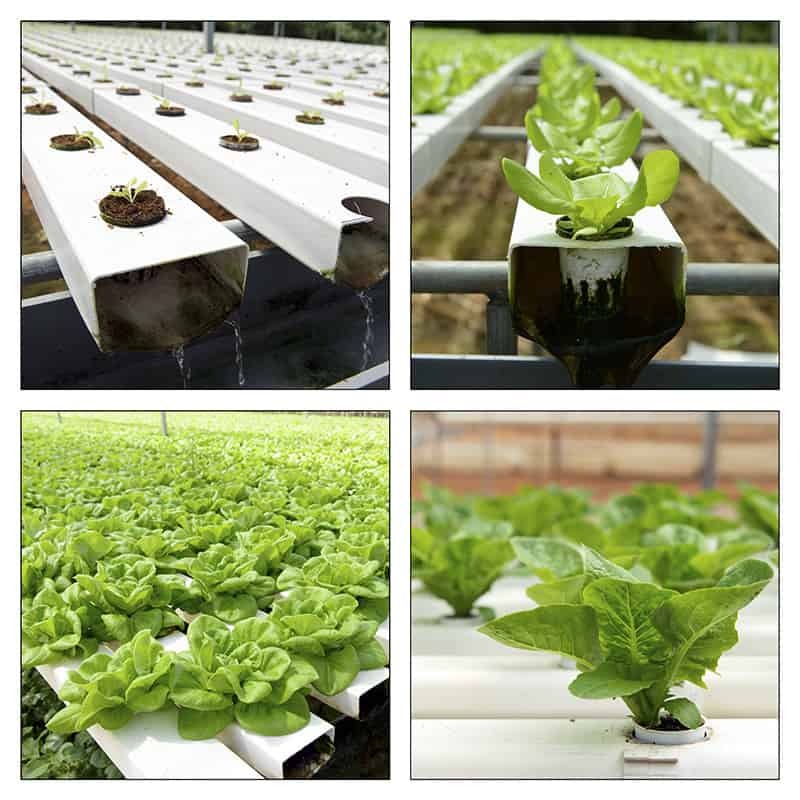 For larger scale or commercial growing, the most commonly used systems for lettuces and other leafy greens are Deep Water Culture (DWC) with its variations, and the Nutrient-Film Technique (NFT). Deep Water Culture is considered classic hydroponics, also known as raft or pond culture. DWC uses styrofoam rafts which float on constructed tanks or ponds holding a large amount of nutrient solution. DWC requires a water pump to circulate water through the tank/pond and an air pump to keep it well aerated. A great advantage of DWC is that the large volume of water (solution) ensures that unwanted rapid changes in temperature, pH, EC and nutrient composition are easier to avoid since fluctuations are smaller. You can find out more about DWC in our designated Green and Vibrant DWC Definitive Guide. In an NFT system, plants grow in shallow channels with a constant circulation of a thin film of nutrients in the root zone. The channels are slightly sloped so the water can be drained at the end, from where it goes back to the reservoir. The levels of nutrients and other important factors are controlled within the reservoir. You can learn more about NFT in our Green and Vibrant NFT article. On the other hand, if you are a small-scale lettuce grower, you can experiment with many other, simpler systems. Ebb and Flow, or Flood and Drain systems rely on flooding the substrate and the root zone with nutrient solution, followed by draining the solution back to the reservoir. The two operations take turn continuously at regular intervals. You can learn more about Ebb & Flow in our separate article. The Kratky method is a form of Deep Water Culture (DWC). However, it’s a completely passive one - it doesn’t use water pumps and electricity to supply the root zone with nutrients or air. It is one of the easiest methods to set up and use, but it can still yield great results for lettuce growers. You can learn more about it in our Kratky method article. Once you get skilled at growing lettuces and leafy greens, you can move on to enrich your homegrown salad menu by growing slightly more demanding crops, such as tomatoes. Tomatoes are more complicated to grow since they require more input and monitoring than leafy vegetables - getting to a high-quality fruit stage certainly requires more effort than simply aiming for leaves. In comparison with lettuces, with tomatoes, you are in for more complicated nutrient mixes, lighting, battling diseases, and more general maintenance. However, it is far from impossible, as you’re about to see for yourself. Check out our step-by-step guide to growing tomatoes within in an Ebb & Flow system. If you are a beginner hydroponic enthusiasts, growing lettuces are one of the best options to practice your gardening skills. With very little effort, lettuce offers almost instant gratification and success. Lettuce is versatile and adaptable when it comes to different growing methods and systems. Even if you don’t have a lot of time on your hands, opting for low-tech plant-and-forget methods such as the Kratky method will be tolerated by most lettuce types with no issues. If you are an experienced grower, lettuce growing can still be very satisfying and can even be turned into a stable profitable business or additional income source. As you can see, there is almost no excuse not to try to grow lettuce in your hydroponic system. By the way, don’t you have some lettuce cravings now? I certainly do! What’s your experience with growing lettuce hydroponically? Let us know in the comments, and share this article around the web if you’ve found it inspiring.